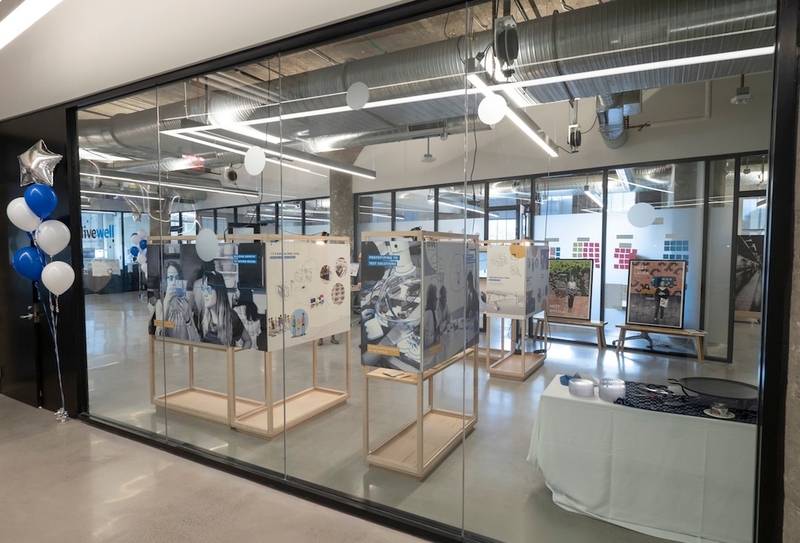 On the heels of the grand opening of the University of Cincinnati’s 1819 Innovation Hub, the space welcomed a new tenant on Oct. 9, 2018, focused on technology, multidisciplinary work and co-creation: The Live Well Collaborative. The Live Well Collaborative is a nonprofit co-founded in 2007 by UC and Procter & Gamble (P&G) specializing in research and development of products and services for living well across the life span with an expertise in the 50-and-older marketplace. 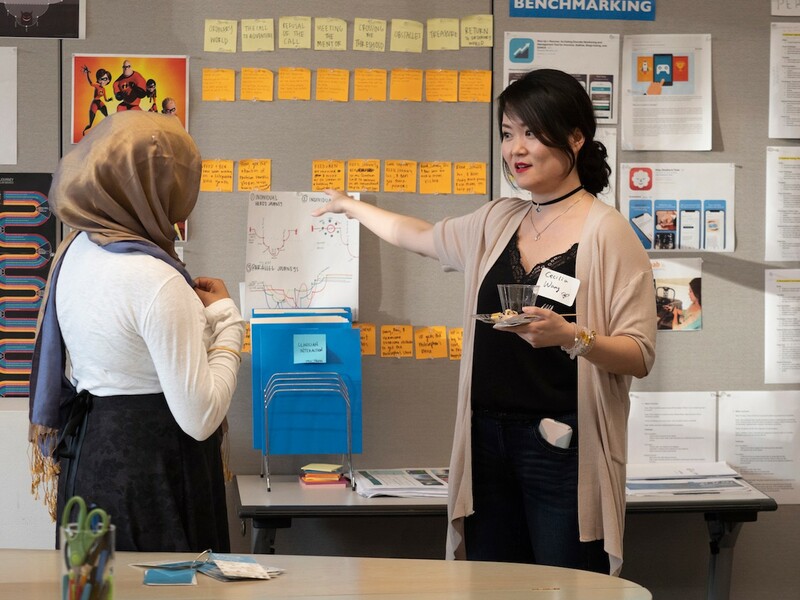 This unique academic-industry driven innovation center brings together interdisciplinary teams of UC faculty and students to use a design-thinking approach to translate consumer research into products and services. Tuesday’s dedication event featured Kathy Fish, P&G chief research, development and innovation officer; John Perentesis, Cincinnati Children’s Hospital Medical Center (CCHMC) director, Division of Oncology and executive co-director, Cancer & Blood Diseases Institute; Cynthia Vandewall, Boeing Market Research & Design for Advanced Concepts; and Jason Heikenfeld assistant vice president, UC Technology Accelerator for Commercialization. University leaders agree that the 1819 Innovation Hub is a perfect fit for Live Well. 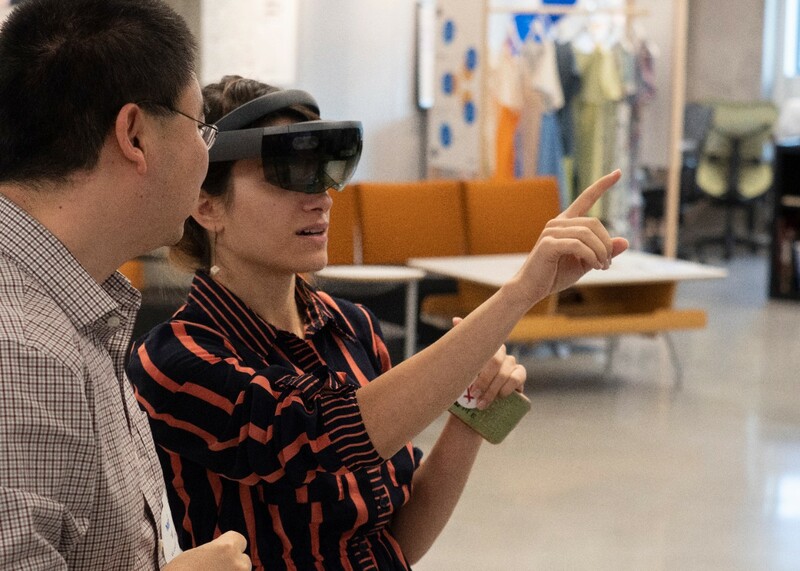 As part of a $38 million renovation, the Hub is UC’s “new front door” to the community, serving as a space for students and faculty to engage with industry on collaborative problem-solving. Located in a 133,000 square-foot, four-story building that dates back to 1929 (1819 refers to the year of UC’s founding), the Innovation Hub offers a one-stop shop for industry to access the university’s extensive resources and is at the heart of UC’s “Next Lives Here” strategic direction. 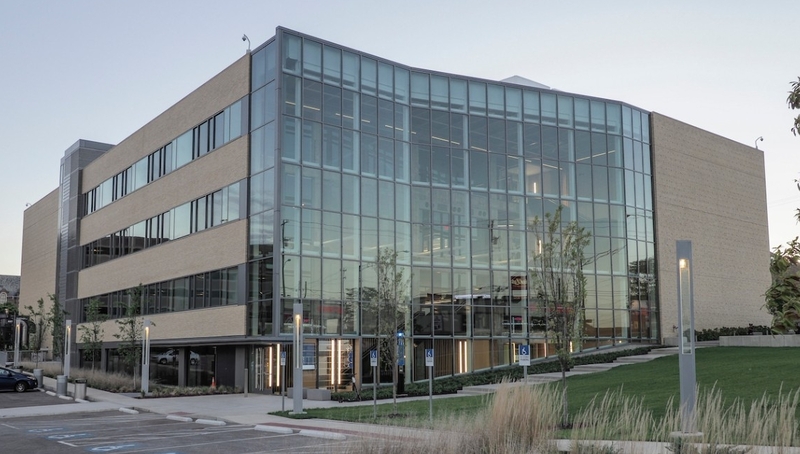 Moving from its Short Vine location in Corryville, Live Well joins a number of other research- and creation-oriented tenants at the 1819 Innovation Hub, including the UC Research Institute, UC Simulation Center, Cincinnati Bell and Kroger. More than a decade after its founding, Live Well has connected industry leaders with UC students and faculty to collaborate on a variety of innovative design projects, working with numerous industry organizations such as Pfizer, P&G, CCHMC, Boeing, General Mills, United Healthcare, Kraft Foods, LG, Hill-Rom, Citi Financial, United Healthcare and UC Health among others. Outcomes from this work have resulted in a number of proprietary patents. Boeing: Developing the perfect air travel experience from check-in at the airport to arrival at the gate; producing solutions to improve the in-flight work experience for aging flight attendants. CCHMC: Creating solutions for helping youth in Hamilton County transition from Child Services to the adult healthcare system; collaborating with the Cancer and Blood Diseases Institutes care team to design the optimal patient/family journey for cancer patients. P&G: Design of ergonomically friendly Swiffer packaging and improved product assembly and use communication. 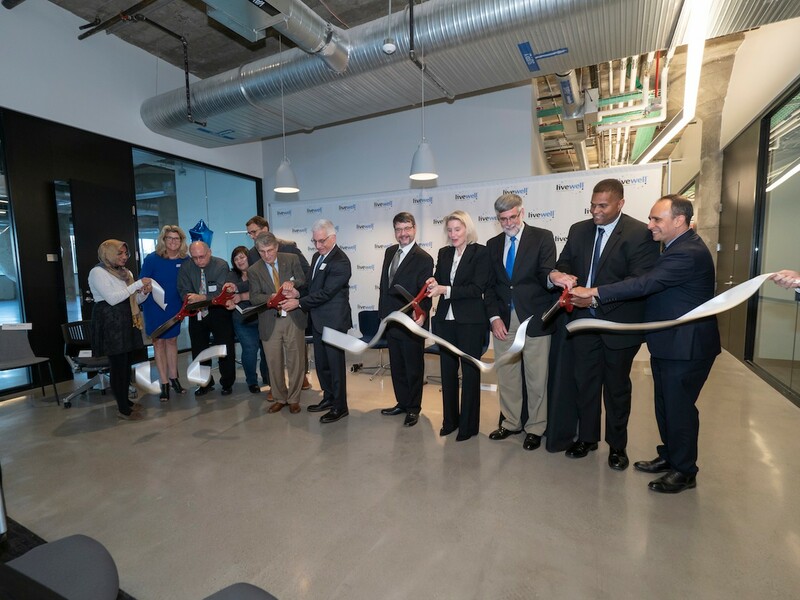 Featured image at top: Leadership from UC, P&G, Live Well and Boeing cut the ribbon for the new Live Well Collaborative space in the 1819 Innovation Hub. Photo/Jay Yocis/UC Creative Services. Apply to an undergraduate program at UC, or a graduate program, and become a part of UC's innovative vision for the future.